THERESA MAY has been advised to send Royal Navy warships to Gibraltar to ‘protect it from Spain’ during Brexit negotiations. Former Ministry of Defence special adviser Luke Coffey said it is necessary to stave off Spain’s plans for joint sovereignty of the Rock. He said: “Theresa May, Boris Johnson, Liam Fox, Michael Fallon, and David Davis should make a joint visit to Gibraltar as soon as possible. “To show that this is an issue of national importance, members of the Shadow Cabinet and representatives from other political parties in Westminster should be invited to join as well. 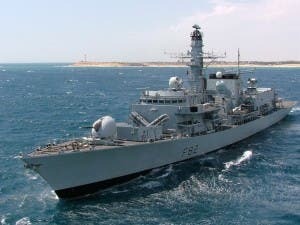 “The Ministry of Defence should also make a grand gesture by increasing the Royal Navy’s visible presence in Gibraltar. Leaders in Madrid wasted no time in demanding joint sovereignty of the British territory, calling for it on the very same day the EU referendum result was announced. Spain’s Foreign Minister Jose Manuel Garcia-Margallo added that the result meant a ‘complete change of outlook’ over the disputed territory, despite an overwhelming majority of its residents having repeatedly voted to remain British. 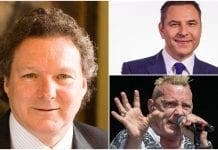 Coffey, writing on the Conservative Home website, added: “The UK needs to prepare for the worst. “This could include maintaining a robust air bridge if the land border is closed. What utter tosh, the UK has just voted for Brexit, I don’t recall lets declare war on Europe being a sub plot. Right now we need to be making friends not enemies. Can we also clarify that Jose Manuel Garcia-Margallo is the acting Foreign Minister Spain still doesn’t have a government and the way talks are going won’t have one this side of Christmas, Rajoy has already warned that a third election is highly likely. Coffey is an ex adviser his words carry no more weight than mine. Of course the border will be closed. Gibraltar is not part of the EU anymore. Add to that it is a tax haven and a smugglers paradise. Then, why on earth do you want an open border with llanitolandia? On the other hand is the best way to protect unwary tourists to go to that cesspit called gibraltar. You really need to lie down in a dark room for a while Pablo. You get far too excited. It isn’t good for your health. Don’t ignore the capabilities of lame duck Rajoy. As Rajoy cannot get a majority in the Spanish Parliament, he may get tempted to enforce the Spanish desire for Gibraltar. This will be the only topic where he can gather all parties of the parliament behind him. The foto of Gibraltar which is shown here in this article is exactly the view of the Spanish artillerists which they enjoy from their bunkers in the military area in the hills behind La Linea. May I recommend you enjoy a hike into these hills to confirm my statement? It’s for free! Also don’t forget article 42 section 2 point 7 of the Lisboa Treaty (EU Treaty): After the UK has left the EU, this article commits all EU countries to support EU member state Spain by military aid. This obligation is much stronger than the mutual defense commitment of the NATO Treaty. Therefor the proposal of Mr. Magallo should be considered seriously. It grants to the citizens of Gibraltar their British nationality and tax benefits. Theresa May should better use Magallo’s offer to manage Brexit in a comfortable way. This will be the crucial difference between May and ‘Le May’. i thought Gibraltar was Scottish? “Send Royal Navy warships to Gibraltar to ‘protect it from Spain’”. Boorah to you, Colonel Blimp. And genuine cheers to you Pablo. From all the Gibraltar-is-Fairyland stories I’ve been reading in the OP I had begun to think I was the only person to notice what a corrupt den of thieves the place really is. So that’s two votes for sending extra bobbies to protect the local Spanish and Expats from the Gibraltarian Mob. Bit of a tall order at the moment; the RN has a good portion of its ships in port because they can’t operate in warm water! However, even if able I would think such a move would be quite undiplomatic and not send the right signal at all. If absolutely necessary, the Gibraltar people will survive as they have in the past and the Spanish people will suffer as they too have in the past. Hopefully the Spanish meanwhile, will learn the art of diplomacy. Margallo only proposes a solution for the decolonization process. Nobody speaks respect to recover Gibraltar by military means. The idea of an aerial bridge is absurd because in case of necessity Gibraltar can receive all the necessary suplies by ship.